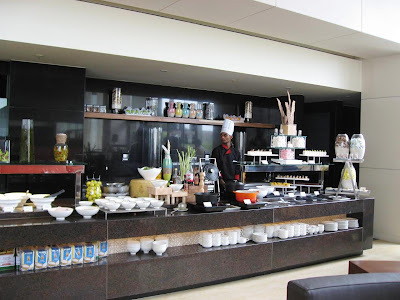 The Courtyard by Marriott in Hingewadi, Pune offers an excellent buffet. Until now, Seasons in Aundh was the only place for a decent business lunch in this part of town. But now at the Courtyard's Momo restaurant, superior quality breads, a variety of delectible dishes and mouth-watering desserts makes it worth the drive from the city. During evenings, they even have an al-fresco open-air barbeque (when it isn't raining). The menu is creative and the food made with attention to details. I am in love with the Fruit Rabdi here! Casanova in Kalyani Nagar no longer has an upscale feel to it. I returned to this Italian restaurant on a weekend. The pastas and soups were pretty good, but the place was not too filled and the waiters didn't know the menu very well. 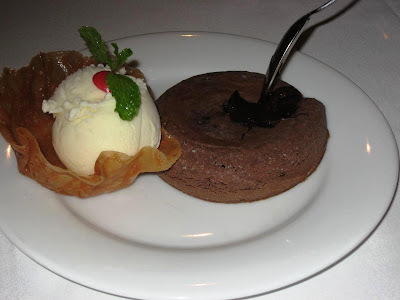 Also, the Volcano - their name for the chocolate lava cake - didn't taste as good as it did the first time. There was too much flour and too little chocolate, I guess. Mainland China continues to delight; I haven't come across many restaurants in this price range which can be so consistent in its quality. The Peppery Lemon Soup is my all-time favorite, the Jumbo Prawns in pepper-salt is yummilicious, and this time I discovered the Lotus-wrapped chicken fried rice, which is very fragrant and a great accompaniment to the Chengdu Claypot Chicken. 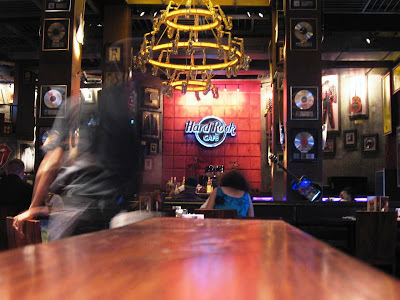 We also decided to party one evening with a friend at the Hard Rock Cafe. Only to find it was a dry day in Pune: no alcohol due to a religious festival! 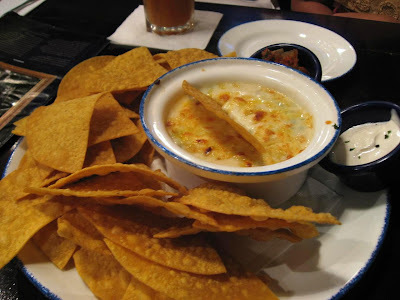 The virgin cocktails weren't too exciting but the Nachos with the Spinach and Mushroom Cheesy Dip was very appetizing. 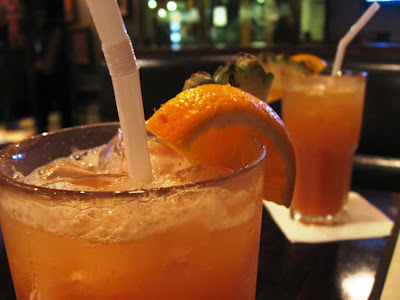 Among interesting new openings, Red Dragon opens its doors in Kalyani Nagar. The chef from the Tangra area of Kolkata which is home to many Chinese immigrants has lined up interesting Chinese fare. What is unique are the 'stir fry bowls': Korean rice bowl, Oyster Chilly bowl, Okayo in seafood, etc. Foodies, note that Yellow Chilli now has a 'tasting menu' but this being no Michelin starred restaurant, it is very modestly priced. 1. What is the price range of the buffet at The Courtyard by Marriott? 2. Does the al-fresco open-air barbeque have fish/prawns? What great restaurant and tasty service! Spinach and Mushroom Cheesy Dip looks delicious! @Vijayendra: The lunch buffet is Rs: 400 per person. Yes, the al-fresco dining is predominantly sea-food based, but I haven't tried it yet. @Chaitanya: That is not surprising. Given the low occupancy rates, most hotels are doing this even in upscale properties in the large metros.It is always safe to call earlier. @Deepti: I agree. 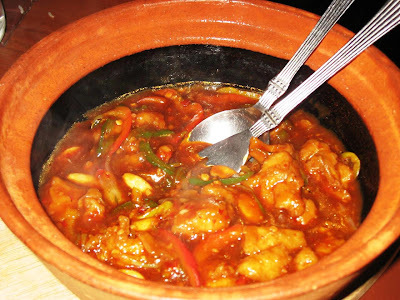 Mainland is most people's choice for Chinese in Pune. That's on my list now. btw have you tried Maharashtrain Thali in Pune ? Monday I had gone to buffet in The Marine Plaza, Mumbai,One of my favourite and this time I found out that they have improved a lot. 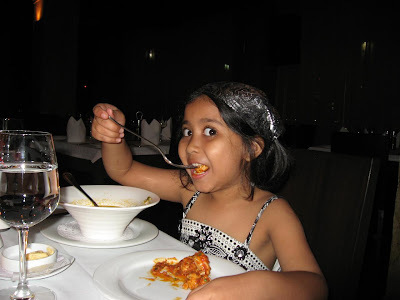 My family spent Christmas last year in Pune and we visited Yellow Chilli, 'celeb chef' Sanjeev Kappors restaurant on recommendation of my aunt - and I hated the food. It was below substandard fare, but yes at modest prices as you mention. I was very dissapointed with the meal- was a total waste of an afternoon! Sayaji (on the highway, a little towards the Bombay side of the Hinjewadi flyover) has a buffet too, Not too far from the Marriott, so those disappointed by one can easily turn to the other. For my money, Sayaji is somewhat better than the Marriott. Thanks for the update on Red Dragon - I've been to fabled Tangra once, and am looking forward to its Pune incarnation. I was in Malaka Spice on Sat. Nice as usual. Sunday I visited Indus Kitchen at Shivaji PArk. I think it's the same group of Indus Kitchen in Pune. But I didn't like the place in Mumbai. The atmosphere, the ambience was disappoining and I walked out. My problem is I stay far away from all those good restauant's listed. Somnetimes the rickshaw fare is more than the Bill. @Harekrishnaji: Interesting... Thanks for sharing. @Meg: While I wasn't too critical during my only visit to Yellow Chilli, I have heard similar feedback (to yours) from others who ventured later. @Ganesh: Yes, did hear about Sayaji, mostly because they send Audis to pick up their guests! I do think the Marriott is a great choice, especially for those who have a taste for some Continental food too (along with Indian). @Harekrishnaji: Thanks for sharing your experiences here. Few of us, bloggers in Mumbai go out periodically for lunch. 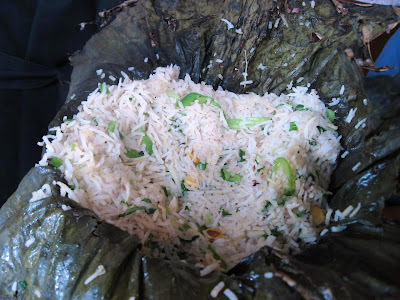 I feel we, (every sat/sun, I am in Pune) bloggers in Pune should also meet some other day and go out for gastronomical experience under your guidance. @Harekrishnaji: Great idea. Only I have to be in town for this! With the amount of travel I do, most weekends when I am in Pune get spent at home. I understand. But keep it in mind. May be some day we all should meet. 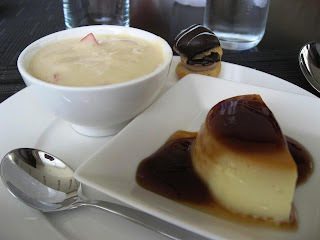 Shantanu, thank you for the succulent blog on the food at Courtyard Marriott's MoMo Cafe!! @vyshnavi: Welcome here and thank you. For business dinners, also try Mezanine at Hinjewadi. They have an Arabian Nights theme, and good food. @Nikita: Interesting. Should try that sometimes. What kind of food do they serve? We have been craving for good continental breakfast since moving here few months, MOMO is excellent option, clean, quite and friendly. Pancakes could have been little better though overall good experience. I think Kalyani Nagar /Koregaon has more options but I am stuck in Aundh. Thanks for sharing. Great review on the Marriott and I agree, they continue with the good food and service tradition they have in the US and Mid East! Next stop, CM Hinjewadi it is :) Thanks for the tipoff! @Ravi: Thanks for sharing your experiences too. With another Courtyard coming up right next to Jehangir Hospital, I am curious to see if they replicate the restaurants too.